It’s harder to write in prison than you might think [at least that was my experience]. Prison lacks those distractions [e.g., the internet] but has its own. and into the cellblock, where you only have to deal with one other guy. 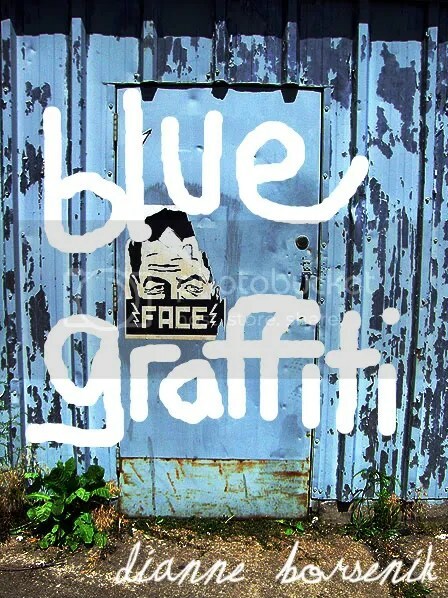 Blue Graffiti is a new collection of Dianne Borsenik‘s best haiku/senryu. A careful hand creation, this 34-page chapbook is saddle stitched, uses high quality cotton paper and features cover art by Steven Smith. A feast for both the eyes and mind, Blue Graffiti is available for only $5 US from Crisis Chronicles Press, 420 Cleveland Street, Elyria, Ohio 44035. You may also order via PayPal. Dianne Borsenik, a former flower child and current redhead, lives with husband James near Elyria, Ohio’s beautiful Cascade Park, where she found the “blue graffiti.” She has had poems and haiku published in a number of journals and anthologies, including Rosebud, Slipstream, Haiku World: An International Poetry Almanac and The Magnetic Poetry Book of Poetry. With poetry partner John Burroughs, she co-produces/co-hosts the Lix & Kix Poetry Extravaganza and Snoetry: A Winter Wordfest series. Find her at http://www.pw.org/content/dianne_borsenik_0. Plus we intend to publish at least three more titles by the end of 2011. Anyone who donates (or has donated) $200 or more to the press is automatically considered a lifetime subscriber and will receive a copy of each future Crisis Chronicles Press publication as a token of our immense gratitude. Since I plan to keep publishing for many years, I believe this will turn out to be a fantastic bargain. I just read text 169 of Pessoa’s The Book of Disquiet and it expresses well much of what I’ve been feeling lately re writing. It’s hard for me to focus and write what I want because I keep listening to others’ conversations. But since what I want to say regards the worthlessness of my writing, I suppose I shouldn’t be so bothered that I’m not writing it — at least if I mean it (I think I do) and I’m right (what is right?). I would like to buy a beverage, but am afraid to leave the waiting room in case they call my name. Page by page I slowly and lucidly reread everything I’ve written, and I find that it’s all worthless and should have been left unwritten. The things we achieve, whether empires or sentences, have (because they’ve been achieved) the worst aspect of real things: the fact they’re perishable. But that’s not what worries or grieves me about these pages as I reread them now, in these idle moments. What grieves me is that it wasn’t worth my trouble to write them, and the time I spent doing it earned me nothing but the illusion, now shattered, that it was worth doing. Whatever we pursue, we pursue for the sake of an ambition, but either we never realize the ambition, and we’re poor, or think we’ve realized it and we’re rich fools. 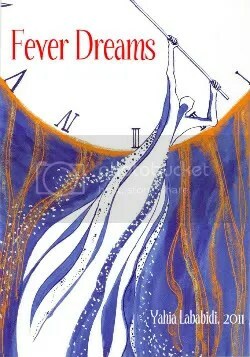 What grieves me is that my best is no good, and that another whom I dream of, if he existed, would have done it better. Everything we do , in art or in life, is the imperfect copy of what we thought of doing. It belies the notion of inner as well as of outer perfection; it falls short not only of the standard it should meet but also of the standard we thought it could meet. We’re hollow on the inside as well as on the outside, pariahs in our expectations and in our realizations. Thunderstorms, ginger snaps and this song all help. The second installment of Take-It-To-The-Street Poetry is out! Feed your fix with eight volumes of powerpacked poetry and art, absolutely free. Peruse, print and pass on! Thanks to word pushing wizard Lynne Hayes for spearheading this marvelous project, and to all the excellent contributors. If this doesn’t get you high…. I’m honored that my poem “Keyed Up” appears in Volume 7, embedded below. Dive into all eight at http://www.yudu.com/albums/items/347265. See a 12-page preview of the book (and order a copy, if you’re inclined) at http://press.crisischronicles.com. June 25th 2011 I had the pleasure of reading at two poetry/music events put on by Vocal InKorporated in the Toledo area to benefit No Kid Hungry and Any Kid Can. At the first event, Poets/Artists Speak at Fat Fish Blue in Perrysburg, I read two poems: “Dry Cast” (from Water Me Well) and “Bloodshot” (from Bloggerel). Thanks to Dianne Borsenik for recording me. And thanks again to Mikki Williams, Melvin Douglas Johnson, Vocal InKorporated and everyone else who contributed to making these events so special. I’m looking forward to next year! Donate to No Kid Hungry at http://nokidhungry.org.